On April 15th - 18th, the annual Association of Technology Leaders in Independent Schools (ATLIS) Conference was held in Washington DC. 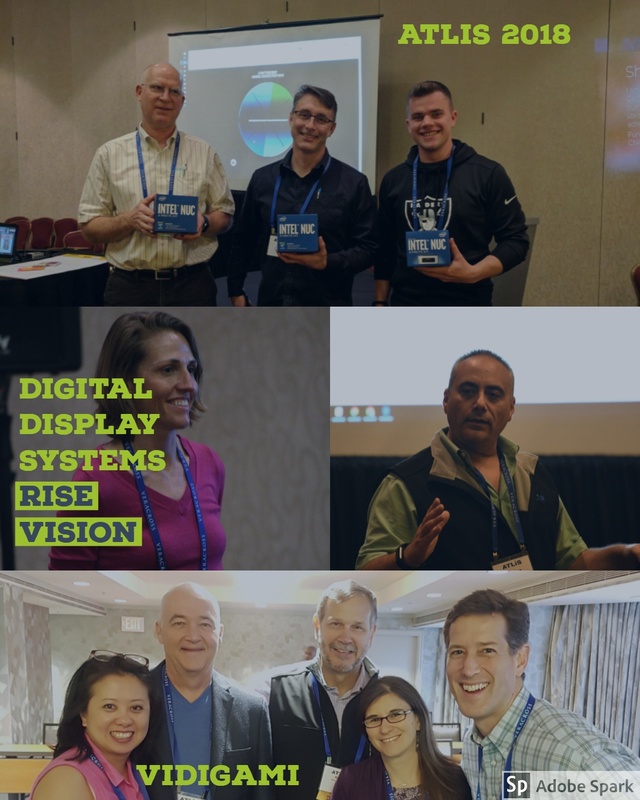 Rise Vision had the opportunity to be part of one of the engaging tech-driven workshops: Digital Display Systems Workshop. The session introduced attendees to Rise Vision; they learned how to create, schedule, and manage digital displays remotely. Attendees also learned about integrating Vidigami slideshows into their digital signage presentation. Following an overview of how the software works, attendees were given time to explore the software with preassigned accounts. With these accounts, they could choose to use a shared template to create their first presentation or they could go out on their own. Several monitors and projectors were running during the workshop, and these had live updates of the work that was taking place in the room. Each of the monitors was connected to an Intel NUC, which was given away as prizes following the workshop (theBookPC.com and Rise Vision donated the NUCs). At the end of the session, three winners were chosen from the following categories, Most Creative Overall, Best Integration of Vidigami, and a random drawing. You can see the winners below (note: these presentations were created in a very short window of time and would be revised before they went on a public display). Rise Vision is always exploring ways to be more involved in different conferences and would love to hear from you if you are interested in using our software for an upcoming workshop.